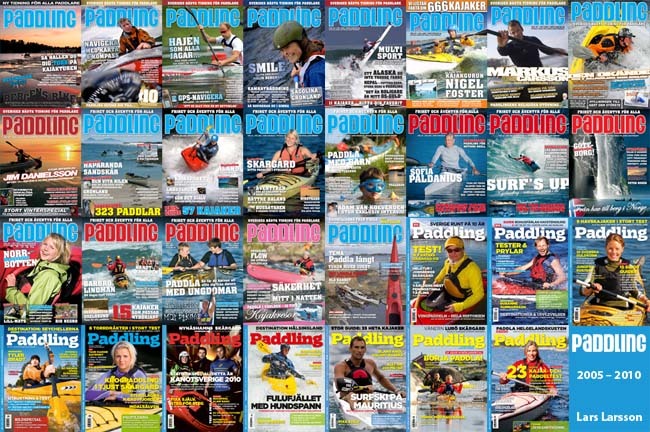 I founded Paddling magazine in 2005 together with Fredrik ‘Frasse’ Fransson (now owner of Svart Pist Publishing). We published the magazine through our own company Fantastisk Produktion AB and had a close co-operation with the Swedish Canoe Federation. From the beginning Paddling was the federations official member magazine, but later we made it a completely independent magazine with ordinary subscribers, but still kept the co-operation with the Canoe Federation until 2010. As the CEO of the company I both ran the whole business and was Editor-in-chief of Paddling. This meant more than full time work for six years. I also wrote and photographed much of the content myself. For examples of my work for Paddling check out the articles section.